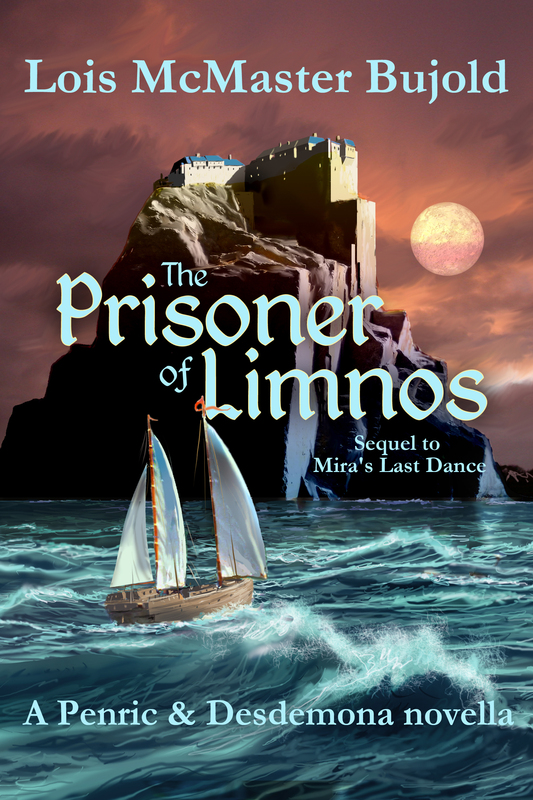 Lois McMaster Bujold’s new Penric novella, “The Prisoner of Limnos”, came out just Friday, and we’re very pleased to bring you our interview with her about covers – a subject near and dear to our hearts, because every good book is in the need of a cover, eventually. EMD: For the early Penric covers, I know you asked for fan input about the public domain pictures you used, and I believe you mentioned that your agency helped you with the typography. Before that, did you have much input in the covers of your traditionally published books? What was the most useful piece of advice you got when you were choosing your own covers for the e-publications? What kind of parameters did you use for choosing the public domain pictures? And can you share any websites you found helpful in your search for a cover? LMB: My input on my traditional-publisher artwork has varied over the years, from none to intense. There seems to be no discernible relationship between the amount of my involvement and the results. I’ve had great covers with no involvement, disappointing covers with lots, and the other way around, apparently at random. I don’t recall I had much advice when I embarked on doing e-covers years ago with The Spirit Ring. (That would have been back in late 2010.) My helper putting them together could at the time only work with one image, cropping but no photoshopping, so options were limited. I wanted to choose historical paintings for the fantasies, because not only could I see what I was getting, but they were already at a high level of artistic accomplishment. Bad photoshopping/image collage is much worse than none, amateurish and off-putting, and any hint of photography was very wrong for the fantasy mood. As we’ve worked together over the years, my e-wrangler and I have both grown better at sorting through the challenges.